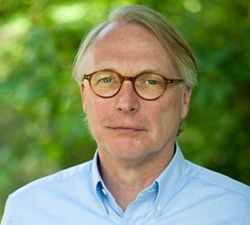 Carl Folke is also Director of the Beijer Institute of Ecological Economics of the Royal Swedish Academy of Sciences and cofounder and Science Director of the Stockholm Resilience Centre at Stockholm University. He took on these positions in 2007. Carl is a systems thinker in integrative science for sustainability, recognized for his research on social-ecological systems and resilience thinking. His work emphasizes that humans and our societies are embedded parts of the biosphere dependent on its life-supporting ecosystems, while simultaneously shaping them from local to global scales and from the past into the future. Since the mid-1980s he has broken new ground in understanding the dynamic interplay of humans and nature, of economy and ecology, from management and stewardship of ecosystem services in the seas and on the land to global sustainability. His work has illustrated how progress, prosperity and wellbeing will benefit from reconnecting development to the biosphere and how to adaptively govern and manage resilience and transformations for sustainability in the Anthropocene. Carl has degrees in both economics, business, and administration, and in biology with a focus on ecology. He defended his PhD 1990 on the role of life-supporting ecosystems for social and economic development. He became associate professor in 1994, and full professor 1996 in natural resource management. He worked as Deputy Director of the Beijer Institute 1991-1996, Chair of the Natural Resource Management branch of Department of Systems Ecology 1997-2007 and Director of the Center for Transdisciplinary Environmental Research (CTM), Stockholm University 1999-2006. Currently, he is director of the Global Economic Dynamics and the Biosphere (GEDB) Academy Programme, the IPO of PECS, Future Earth, and principal investigator of a Wallenberg Foundation Stanford exchange programme on natural capital, resilience and biosphere stewardship. Carl has more than 30 years of experience in international collaborating across disciplines, has produced some three-hundred publications and is recognized as highly cited researcher. Hel has contributed in fostering a new generation of sustainability science scholars internationally and in Sweden, built internationally leading research centres and institutes, and worked with scholars across the natural and social sciences and the humanities. He has contributed to the development of new areas of research, concepts and approaches that have spread across science, education, policy and practice and more recently into the business community. He is among the founders of the Resilience Alliance, and has been active as board member and in the Executive Committee (1999-2015). He has taken part in the development of the South American Institute for Resilience and Sustainability Studies (SARAS), Maldonado, Uruguay, was involved in the development of the International Society for Ecological Economics (ISEE) working as Secretary of ISEE for about 5 years, and engaged in the Millennium Ecosystem Assessment, the subglobal assessments in particular. Carl shares the position as Editor-in-Chief of Ecology and Society (with Lance Gunderson) and serves on the editorial board of about ten international scientific journals. Carl serves on a number of advisory boards, including the United Nations University’s Institute for the Advanced Study of Sustainability (Tokyo, Japan), and the Waterloo Institute for Complexity and Innovation, University of Waterloo (Canada). Previous boards include: the U.S National Center for Ecological Analysis and Synthesis (NCEAS), the International Human Dimensions Programme on Global Environmental Change (IHDP), the Stockholm Environment Institute, and the STEPS Centre. He has served on boards and committees of research councils, UN organisations, the Swedish Government and various organizations in Sweden and internationally. He has a long record of science, policy and practice collaboration, working with key actors from local landscapes in Sweden to international bodies and enterprises. He is currently on the Advisory Board of EAT (food, health, sustainability), Chair of the Scientific Committee of the Volvo Environment Prize, engaged with the Global Resilience Partnership (GRP) and co-organizer of the Keystone Actors dialogues for ocean stewardship with leading multinational seafood businesses and the SeaBos initiative. Carl is member of the Royal Swedish Academy of Sciences (since 2002) and the U.S. National Academy of Sciences (since 2017). He has received awards and recognitions including the International Geographical Union’s Planet and Humanity Medal (2016), the Sustainability Science Award of the Ecological Society of America (2004), and the Pew Scholar Award in Conservation and the Environment (1995). He started an institute for science communication, Albaeco, in the late 1990s and is genuinely engaged in the arts-science interface and has developed several exhibitions “Changing Matters – The Resilience Art Exhibition” (2008), the art-science book “Reflections – On People and the Biosphere” (2014), with installations at the art venue Artipelag (2014) and the Raoul Wallenberg Square (2015), Stockholm, and co-developed the exhibition Patterns of the Biosphere (2015) at Svenskt Tenn, Stockholm. Carl has organized several major international conferences and workshops, is in charge of the Stockholm Seminar - Frontiers in Sustainability Science and Policy, has given well over 200 scientific presentations including keynotes and lectures worldwide, numerous public lectures and seminars for diverse audiences, and interviews in media. His research has been reported in many newspapers, radio and television, both in Sweden and internationally.